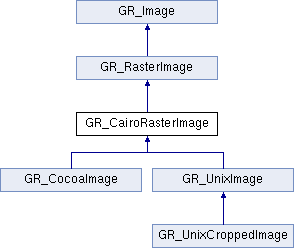 Implemented in GR_CocoaImage, GR_UnixCroppedImage, and GR_UnixImage. The idea is to create a new image from the rectangular segment in device units defined by UT_Rect rec. The Image should be deleted by the calling routine. References GR_Image::getDisplayHeight(), GR_Image::getDisplayWidth(), GR_Image::getName(), UT_Rect::height, UT_Rect::left, makeSubimage(), GR_Image::setDisplaySize(), GR_Graphics::tdu(), UT_Rect::top, UT_std_string_sprintf(), and UT_Rect::width. Implemented in GR_CocoaImage, and GR_UnixImage.